Balanced approach has put the ACT’s economic house in order, says Andrew Barr. Rate increases of 7 per cent for houses and 10 per cent for units (see below), the scrapping of stamp duty for eligible first-home buyers and a return to surplus are the highlights of Treasurer Andrew Barr’s 2018 ACT Budget handed down on Tuesday. In a Budget in which most of the big ticket items had already been announced, it was left to Mr Barr to declare that the Government’s hard work had paid off with a small surplus of $36.5 million, assisted by a $45 million GST windfall, and predicting that the Budget would remain in surplus across the forward estimates. Rates revenue for 2018-19 is estimated at $348.7 million, reflecting a rise in general rates of about 7 per cent and increases in the number and value of new properties. There is plenty of positive news in this year’s ACT Budget, and The RiotACT came to you LIVE from the ACT Budget Breakfast where three Canberra experts wrapped up the standout issues, the good news and all the positives from yesterday’s announcements. Catherine McGrath from Catherine McGrath Media, Andrew Sykes from RSM Australia, and Archie Tsirimokos from Meyer Vandenberg Lawyers explained why this Budget has people pumped. The rate increase for units is higher due to the change in methodology for units and the removal of the $100 rebate that applied to units in 2017-18. Mr Barr said the Government had listened to unit owners alarmed at the steep increase in their rates and extended the transition to the new methodology by a further year to allow them more time to adapt to the change. Stamp duty rates continue to fall as part of the Government’s tax reform strategy, with an average rate of 4.56 per cent for properties between $500,000 and $750,000 in 2018-19. This will fall to 3.9 per cent by 2021-22. He said cutting stamp duty had been an important part of the Government’s tax reform strategy to move away from transactional taxes. “By 2021-22 someone buying a $500,000 home will be paying half the amount of stamp duty they would have been up for when we started this reform – a saving of $10,500,’’ he said. Despite this, revenue is expected to increase to $208.8 million in 2018-19 as transactions return to a more normal level. 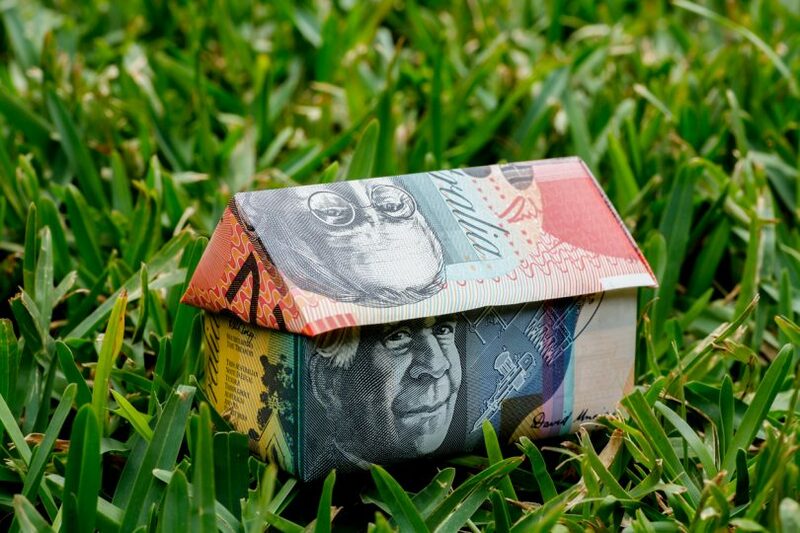 From 1 July 2019, first-home buyers with a household income of below $160,000 will no longer have to pay stamp duty on purchases of any value whether it be a new home or established property, but the trade-off will be the axing of the $7000 first-home owners grant. Mr Barr, who believes the grant is more rightly a first-home seller’s grant, said the grants had not been effective in helping first home buyers into the market, and had actually made housing less affordable by inflating people’s borrowing power, overheating demand and boosting prices. What does this year’s ACT Budget mean from a business, investment and property perspective? What does this year’s ACT Budget mean from a business, investment and property perspective? The RiotACT came to you LIVE from the National Press Club of Australia to bring you reaction and analysis from three Canberra experts. Robyn Hendry of Canberra Business Chamber, Archie Tsirimokos from Meyer Vandenberg Lawyers and Andrew Sykes from RSM Australia shared their responses to the key Budget issues and what the new measures mean for business in the ACT. The Government believes this and a land release program over the next four years of 17,000 dwellings will also boost housing affordability, although only 31 per cent are for detached houses, 7 per cent semi-detached or terrace, and 62 per cent units. Canberra’s growing population has boosted the ACT’s GST take and helped Mr Barr return the Budget to a balanced position. “This means we are fully covering the cost of delivering services for Canberrans while building a buffer against future risks or shocks,’’ he said. Mr Barr said the Government’s work to support the Territory economy through tough times had paid off in sustained economic growth over the past few years. “This Budget estimates that this year’s growth for our economy will be 4.5 per cent. This will bring our total economic growth since 2014-15 to a very strong 13.6 per cent,’’ he said. But net debt is $2.1 billion in 2018-2019 and is estimated to grow to $2.8 billion by 2021-22. View full list of 2018-19 Residential General Rates by suburb. More taxes for those who are already struggling. We’re not all over paid public servants. Neither are public servants Grant. Unless you think $55k is high. On ABC TV tonight Barr admitted that the interest bill on Territory debt in ensuing years will be $200 million dollars pa. That’s a lot of money and its main source of servicing will be revenue from the property industry. There are signs that home unit sales are falling off with at least one only partly completed development with over 500 units being placed on the market. There has never been anything like that ever happen in Canberra before. And don’t forget that unfunded superannuation liability is around $6 billion and growing. I haven’t found out yet how much they are contributing this year to the annual top up. Nothing in this budget to be cheerful about. Yes, the interest payments are large but not overly so considering what every state government has also gone through in recent years. We still have a relatively low debt level. And the Super liability is over $7B, growing now to peak at $10B in the early/mid 2030s due to a change in the actuarial discount rate used. They’ve current got over $3B saved for this liability and are putting away more than $200million per year to meet the liability by mid 2030s. Rather than being unhappy, it looks like everything is looking pretty good considering, although I do think there are areas where spending could be reduced. Thank goodness ACT Public Servants are getting a 7% pay rise per year to keep up with all these Government price rises....wait, I'm being sarcastic. And before you bag our Public Servants, yes they do spend money on paying private sector services and workers. No 7% for Commonwealth public servants, in fact more like 6% over a decade. Don't bother asking the chief minister to have some heart either. He seems to love sticking into those who built the city up from the 60s & 70s & who can no longer work. And the twist of the knife comes If you can't pay - you are threatened with high interest charges & offered a reverse mortgage just to pay his insane tax increases. The huge increases are not recognised by anyone assessing support entitlements. It's a very ruthless practice without any regard for traditional family values or the elderly. “From 1 July 2019, first-home buyers with a household income of $160,000 will no longer have to pay stamp duty on purchases of any value whether it be a new home or established property, but the trade-off will be the axing of the $7000 first-home owners grant. …..because a $7,000 grant gets factored into the first home buying budget, but exemption from stamp duty won’t? A government which is going to be reliant on property conveyancing revenues for many years to come needs to get over its batty obsession with stamp duty as the source of everything that is wrong with the local property market, and start facing up to the real affordability issues. The difference being that the stamp duty percentages are slowly reducing so the benefit will slowly reduce to zero as we transition to a land tax/rates model. I think the bigger issue with the proposal is that there is no upper value to the homes that can be purchased utilising this scheme which makes it open to rorting by wealthy people buying expensive houses through their children as a way to dodge tax. Spot on Chewy14 regarding no Upper Value on house price purchase . Surely a first homebuyer of a $2 million dollar property should not get more benefit than a lower value property. I still have massive issues however, with the method in which the Government is reducing the land tax/rates model to zero and the flaws in the valuation models used to determine UAV for rates determination. The rates model needs to capture the benefits going to certain Suburbs of the ACT Governments spending of extra rates revenue. It’s beyond me why a house on a large block in Calwell pays $2,694 in annual rates (but has poor bus options, no government services, low quality school options and no public amenities) but at the same time a recently sold for over a $million place in Ainslie on a small block only pays $2,402 in annual rates despite a multitude of quality government provided extras. Calculating the annual rates tax primarily on the value of the land plus a base per house rate is not a fair and equitable model for areas with limited Government services and amenities.